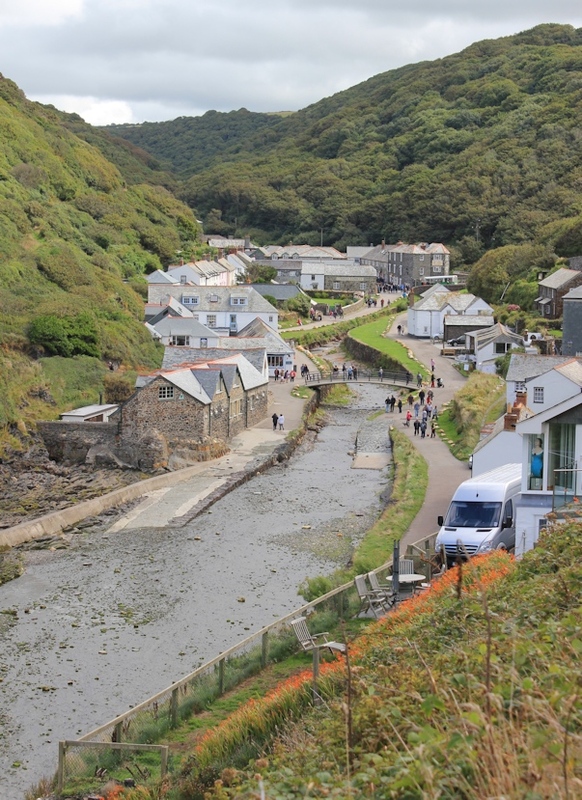 Boscastle is a magical place, hidden deep in a valley, straddling a stream, and with a secluded harbour. It is on a spectacular section of the north Cornwall coast and close to Tintagel. 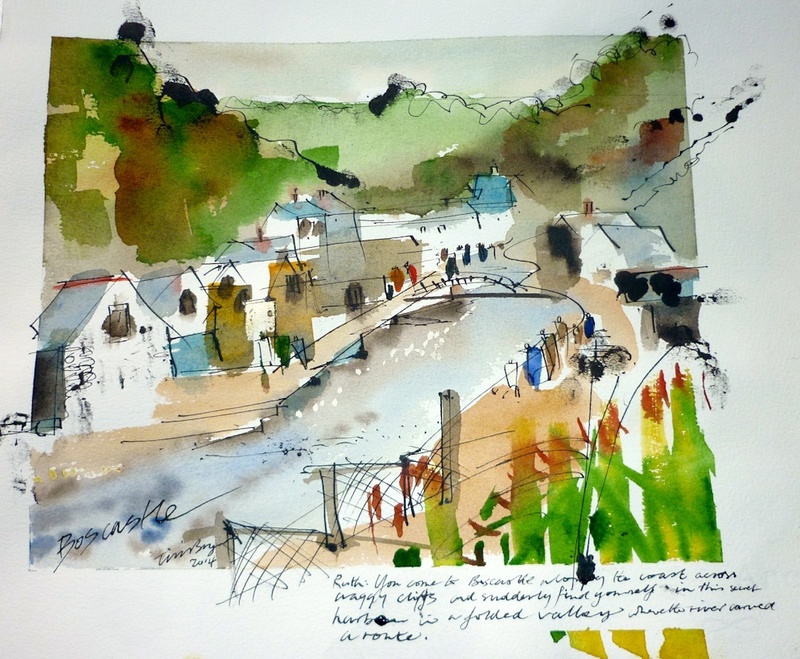 Here is a painting of Boscastle, by my artist in residence, Tim Baynes. I love the looseness of the lines and the vibrancy of the colours. He captures the magic and the mystery and the sheer prettiness of the place. And here is my original photograph on which the painting was based.